As the year draws to a close, we’re counting down the top three Service That Sells! articles of 2017 based on your feedback. Coming in at number three is “To Sell is to Serve, To Serve is to Sell.” Enjoy! In the restaurant business, service and sales go hand in hand. To sell is to serve, and to serve is to sell. The problem is that many restaurant servers are afraid to “sell.” They don’t want to seem pushy or insincere. Usually, this is because the word “sell” conjures up the image of a used car salesmen saying, “What’s it gonna take to get you into this car today?” That’s not what restaurant sales is all about. The goal of your waitstaff sales training program should focus on how increasing sales benefits the guest, not just the restaurant. Selling in a restaurant is a different kind of selling. Sales in a restaurant isn’t about convincing guests to buy something. They’ve already decided to purchase from your restaurant or they wouldn’t be there. The hardest part of making a traditional “sale” is already done as soon as your guests sit down at a table. Guide guests to selections they’ll love. Guests are looking to servers to guide them through the menu. Even your regular guests appreciate suggestions about specials and new items. New guests may need help finding the items that will best satisfy their appetite or fit with their dietary needs. Servers are like tour guides for you menu. 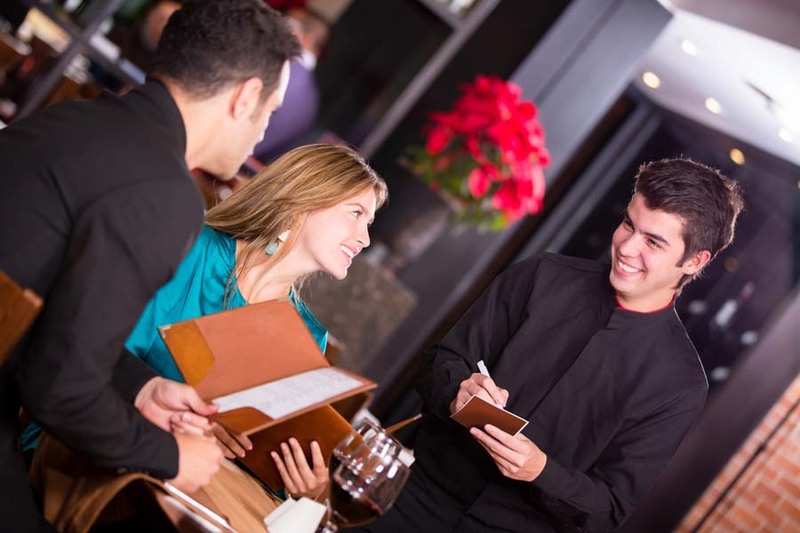 S.A.L.E.S As part of your waitstaff sales training program, teach your servers that “SALES” stands for “Sell A Little Something Extra.” Add-ons and extras that complement a guest’s menu selections improve the overall quality of their dining experience. When servers suggest sautéed mushrooms and onions on a steak or fresh guacamole with a burrito, sales increase and guests are happier with their meals. Need help training your servers to sell? Our Service & Sales Excellence Waitstaff Training Series is based on the Service That Sells!, a restaurant training philosophy developed by restaurant owners for restaurant owners. Watch the video below or click here to learn more.